Exclusive to Scriptura, this map started life in 1845. We added color and refined the details to create a lovely keepsake of the city we love. Printed on soft white paper with a laid texture, this makes a perfect gift wrap, or frame for a lovely decoration. Just under 20″ x 28″. *Packs of 3 sheets are customizable through request. You can pick any other two sheet designs to complete your pack via request in the notes section of your order. 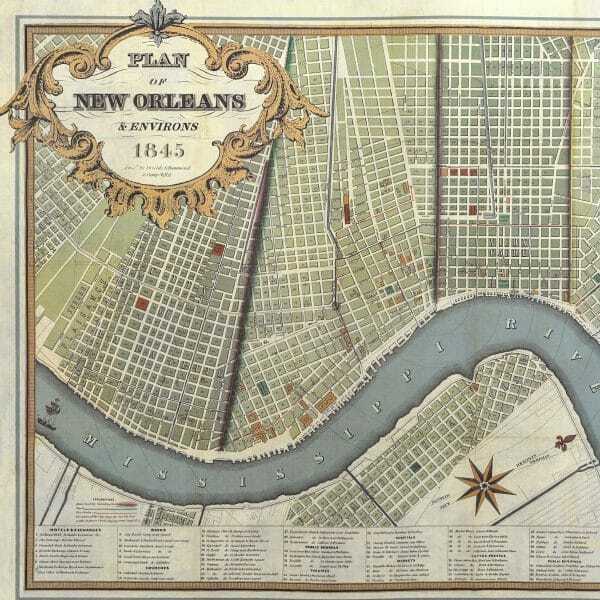 Unless otherwise requested, all three sheets of paper in this pack will be the New Orleans Map design.